All holidays have a higher-than-average drunk driving accident rate of 30% or more. Warm holidays and especially 3-day weekends correlate with the highest driving risks. New Year’s Eve and Christmas have a lower-than-average fatal accident rate. Holidays make most of us want to travel, whether it’s to see family or just explore somewhere new. This inclination makes the roads busier and consequently raises our risk of a getting in a serious car accident. Holidays also correspond with a rise of alcohol consumption, and not everyone makes the right decisions to avoid driving while impaired. These two factors combined can mean that your favorite holidays are dampened by the risks others create on the roads. While we don’t want that to sour your excitement for holiday road travel, but we do want everyone to be aware of the risks so that they can be more careful while traveling. Our North Carolina car accident lawyers also want you to know that you have the right to representation if you have been in a car accident. A car accident attorney can help you negotiate settlements with insurers and if necessary, represent you in court against negligent drivers and the big insurance companies. Be safe out there, and be aware of the following 7 most dangerous holidays to travel so that you can exercise caution appropriately. Christmas has the lowest travel risks of all the major holidays both according to fatal accident rates and drunk driving rates. The period around Christmas has an average of 231 fatal accidents throughout the U.S., although this number can grow or shrink depending on whether the holiday falls near a weekend. In 2014, for instance, a four-day weekend led to a higher-than average 355 fatalities. However, alcohol tends to play a significant role in car accidents around Christmas, with over a third of all accidents in recent years involving inebriated drivers. Thanksgiving means a heavy travel schedule for millions of families, and it also corresponds with a rise in drunk driving accidents. The holiday falls on a four-day weekend, raising the relative risks. On average, there are 258 fatal accidents around Thanksgiving, and 35% to 40% of accidents involve alcohol impairment. Shockingly, New Year’s Eve is far from the worst holiday for car accidents and drunk drivers. The holiday tends to be particularly safe when it falls on a weekend, which is the complete opposite trend compared to the most dangerous holidays to travel by car. Perhaps partygoers tend to make more responsible plans when they don’t have to worry about going to work the following day? Whatever the reason, New Year’s averages 245 fatal accidents annually, which is lower than an average weekend on the calendar. Even still, 36% to over 50% of these accidents involve alcohol as a factor, which means drivers should be cautious, especially in the wee hours of the morning after the New Year has begun. Easter offers another curve ball for this list: it has the fourth-highest fatal accident rate and the third-highest average for drunk driving accidents. The combination of warm spring weather and a weekend holiday may be behind this trend, which sees an average of 280 fatal accidents and 37% of accidents involving alcohol. Independence Day falls right in the middle of the summer, and it’s also a holiday that strongly encourages people to go all out when enjoying themselves. As a result, America’s Birthday also tends to be an extremely dangerous day on the road. On average, there are 307 fatal accidents and high drunk driving accident rates that usually exceed 40%. The risks of driving on 4th of July grow bigger when the holiday falls on a weekend. For example, in 2014 there were 461 accident-related deaths on July 4th when the holiday created a four-day weekend. Both of the most-dangerous holidays to travel create three-day weekends and happen during warm weather. Labor Day is the second-worst of these, with an average fatal accident rate of 308. Last Labor Day was one of the most dangerous on record, with 394 deaths reported as a result of car and truck accidents. Around 40% of people also tend to have excess alcohol in their system when they get in an accident on Labor Day weekend. Memorial Day is consistently the most dangerous holiday to drive out of the year. The holiday represents the first vacation opportunity of the summer for many, and millions of people are anxious to take trips and enjoy themselves. Congested roads and a higher likelihood of drunk driving combine to make the holiday weekend risky and outright deadly year after year. On average, there are 312 deaths over Memorial Day weekend, and over 40% of all accidents involve alcohol. In 2015 (the most recent year for which FARS data is available), there were 367 deaths total across the three-day weekend period. Driving Safely on the Holidays, and Know Your Rights! You unfortunately can’t control anyone else on the road, but you can control yourself. Start by only driving when you are alert, aware, and fully awake. Make sure you get a good night’s sleep and have plenty of food and non-alcoholic drink in your system. Avoid driving if you feel ill or are on any medications that warn you about operating machinery. Definitely do not drive if you have consumed alcohol that has impaired your abilities or put you over the legal limit. Know your route so that you don’t have to divert your focus to navigation and so you also aren’t caught by surprise by sudden turns. Obey all speed limit laws. Give other cars a wide berth, especially on highways. Anticipate when others may stop suddenly or come into your lane unexpectedly. Predicting that other drivers might make careless decisions or mistakes is the root of defensive driving techniques. 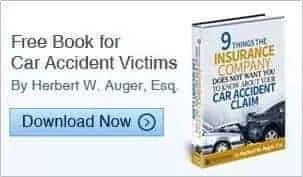 Finally, know your rights if you are in a car accident. Don’t speak to an insurance company without first speaking to a lawyer. You don’t have to accept an insurer’s first offer or negotiate your accident settlement alone. You do have the option to pursue a personal injury claim and potential lawsuit in order to secure the maximum amount of compensation for your damages after a car accident. Know that you can trust in North Carolina car accident lawyers to be by your side after a serious car accident. If you have been in a car accident on a holiday or any other day of the year, you can reach out to our knowledgeable team for a free case evaluation. Enjoy your holidays, drive safe, and know your rights!